Nestled on a quiet cul de sac on the Old Rutherford Golf Course are these 18 custom designed ranch style homes with all the style and flair that will make you want to call this home. 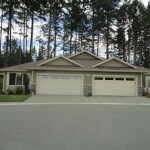 Offered as a controlled development by the renowned Windley Contracting and Silverwood Construction, this residential development offers one of the most attractive sites in Nanaimo and is within walking distance to all levels of shopping, schools and Long Lake Park if you feel like an afternoon swim. All homes are of a lower profile with open floor plans, rich colour schemes and much attention to detail. Built around a central park area & walkways & consisting of a combination of single & 2 level patio homes as well as fourplex homes. This home features great room concept & the level of finishing is exquisite. Features include 2 spacious bedrooms, 2 bathrooms, huge bonus room, fireplace, higher end plank laminate floors in main living areas, carpet in bedrooms & a good sized covered patio. 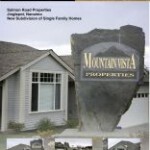 Also included are a gas furnace & double garage. You’ll be very pleased with the kitchen style with wood cabinetry, generous counter space & 4 stainless appliances. 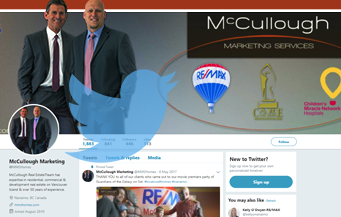 The location is second to none with short stroll to North Nanaimo Centre, Longwood Station, the new Oliver Woods Community Centre, Long Lake & North Town Center Mall. The Montebello embodies design, style & reflects a commitment to the creation of a beautiful urban oasis in central Nanaimo. Rising above a landscaped green space, this impressive 27 unit building boasts a formal covered entryway with lavishly appointed slate floors that lead to a welcoming courtyard with views of nature and the peaks of snow-capped mountains. 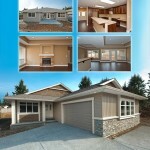 The Montebello is comprised of 27 units with various layouts – sizes range from 765 sqft to 1,195 sqft. Each condo features stainless steel kitchen appliances, fireplace, washer/dryer, gourmet-inspired kitchen cabinetry, and a deck or patio. Additionally, condos come with assigned underground parking, individual storage unit, and secured entry, with elevator access to every floor. Unlike other recently completed developments, catering to upscale clientele, the Montebello is positioned toward the first time condo buyers, investors & buyers desiring a central location. Looking for the ultimate location for your office? Over 20,000 cars pass along Bowen Rd each day which means exceptional exposure for your business. “Park Place” is a new commercial complex with 6 units that offer an ideal location for your office. Located across from the Chamber of Commerce building and built to the highest standards by award-winning Mountain Vista Contracting. It has been designed to allow for 6 separately titled commercial units and 7 apartment-style lofts above with underground parking and rooftop decks. Huge traffic passes this building each and every day which will give your business the best possible exposure. 11 custom ranchers just off Jingle Pot Road offering 4 different styles to choose from, with home sizes ranging between 1278 sqft through 1579 sqft, and builder will allow buyers to customize finshing, paint colors and flooring. Parkwood Village is an adult oriented community that offers heritage styled homes, tree lined streets & a quiet, carefree lifestyle. Each home features vaulted ceilings, gas furnace and fireplace, wood laminate flooring, private patio, 2 bedrooms and 2 full bathrooms. The lge units also incl den or family room. 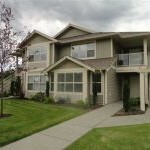 Location 2nd to none w/shopping, restaurants, entertainment & recreation only a short walk away. 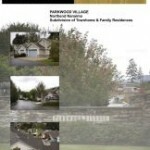 All properties are covered w/10 yr NHW program. Nanaimo’s premier light industrial centre has so much to offer and is for sale or lease. Only blks from Island Hwy & Nanaimo Parkway. On busy connector route from downtown & BC Ferry Terminal to Nanaimo Parkway. Excellent exposure bordering existing industrial park & increasingly high traffic volumes. Ideally located at corner of & accessible from Northfield & McGarrigle Rds. Proximity to Beban Park Rec Centre increases high volume drive-by. Designed for a wide range of commercial, light industrial, showroom/office & warehouse uses. Ample parking. 72 residential lot sales in Cathers Landing serves as the catalyst for neighborhood development in the Jingle Pot area of Nanaimo. 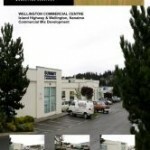 Wellington Centre, construction for sale & lease. Sizes from 1434 sqft to 19,279 sqft. Zoned light industrial, for service type businesses. Built by Windley Contracting. Great highway visual exposure and excellent access.